Picture this: You’re a social media community manager and content creator. You post a photo to your restaurant client’s social media accounts. It’s a great photo. There’s a sandwich piled high with meats, leafy greens, tomatoes, melted cheese, with a side of fries and a cup of soup. But suddenly, your delicious sandwich post starts to receive negative social media reactions in the comment section. Where have you gone wrong? More importantly, what do you do next? Ensure the content you post is correct, makes sense, and includes all pertinent information to stop negative reactions from ever occurring. Post your content in a timely manner if it’s related to an event or promotion. Don’t leave your customers in the dark just because you didn’t get your post up with enough time for them to see it. For those of us who schedule social media content, it’s easy to plan everything at the beginning of the week or month and never think about it again. However, it might be helpful and well worth it to make a note of your scheduled posts on your phone or Google calendar. From there you can check that everything is posted correctly and there are no issues with the formatting or content. Notice the time stamps in this Facebook message. A timely and professional response is key. 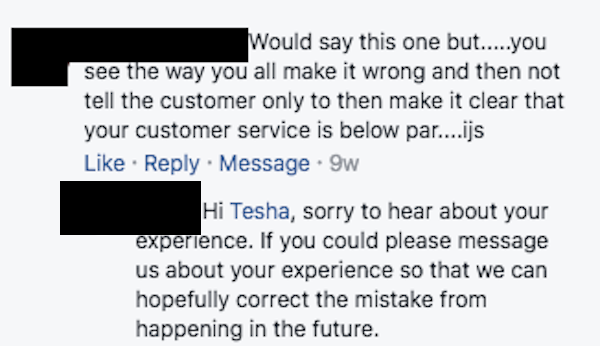 There’s nothing worse than lodging a complaint with a company and then going days, weeks, maybe forever without an answer. React to customer interactions in a timely manner by monitoring pages throughout the day. Recent stats suggest that 63% of social media users expect a response to a comment within an hour or less. Even more, 88% of consumers are less likely to buy from companies if they leave complaints on social media that go unanswered. If you’re unable to respond right away or don’t know the answer to their question, acknowledge that you’ve seen the comment and are working on finding the answer. Of course, how you respond is as important as how quickly you respond; maintain a professional and helpful front, no matter the degree of negativity. Provide clear and up-to-date information and always ask if there’s anything else you can do to assist the customer. Include the customer’s name and ensure them you will work hard to prevent the issue in the future. You’re a human. The customer or user with the negative reaction is a human. It seems simple and straightforward, yet it can be easy to get caught in the behind-the-screen mode and forget to add personality and empathy to your response. Address the customer by their name when responding. Leaving your name can add an additional human element as well. Empathize with the commenter, ensure them you’re working on fixing the issue or finding the answer. Attempt to leave them with more than what they came to you with. Did they complain about the ingredients of a sandwich? Along with 10% off their next meal, suggest menu items they might like better and could order in the future. Are they upset because they can’t place an order online? Walk them through the process and place the order for them. You cannot deal with all problems in the same way, and sometimes there are bigger issues than others. 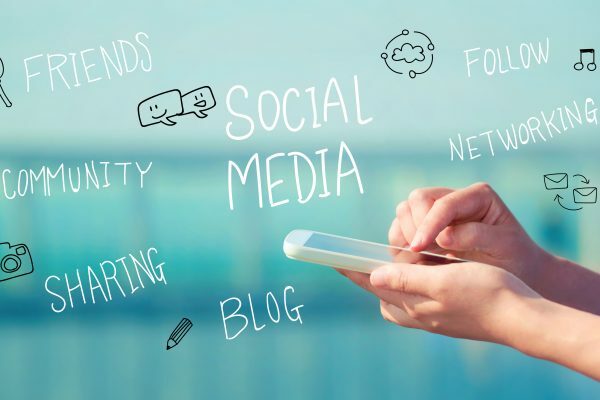 For example, finding yourself at the mercy of a brand-wide crisis is never a position social media managers want to be in; however, should this happen, it might be best to jump on Facebook Live, Periscope, or whatever method you prefer so you can spread the message and information quickly. If the issue is more localized, you can offer a discount or free meal depending on the complaint. If it is something smaller, the best way to calm an upset customer is through the tips above; timeliness, professionalism, and a human touch. There’s no foolproof method to managing social media pages and keeping customers happy all the time. 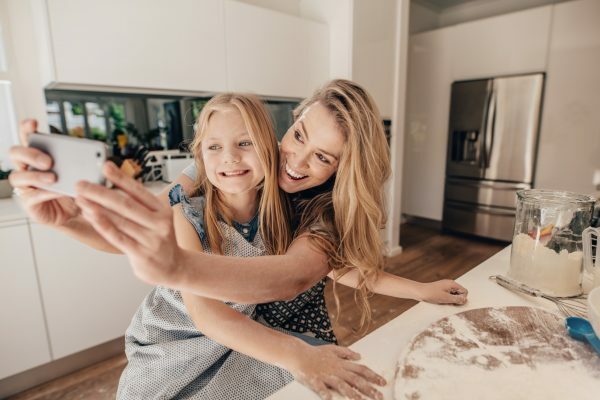 However, with these tips and a little tact and skill, you’ll be well on your way to turning those negative reactions into positive ones once more. Scooter Media is your resource for navigating the ins and outs of the always-changing world of social media. Looking for more social media tips? 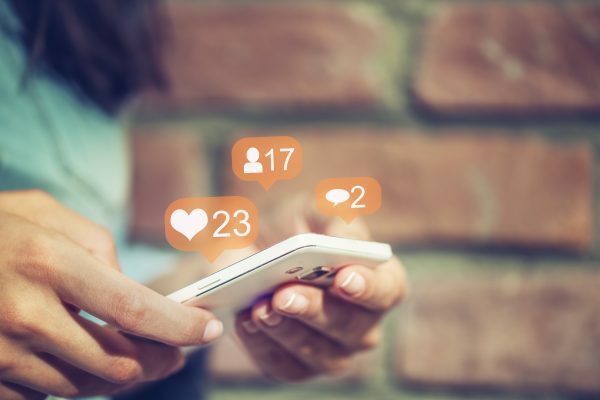 Check out our tips for providing outstanding customer service on Facebook, or read up on how to step up your community management game.